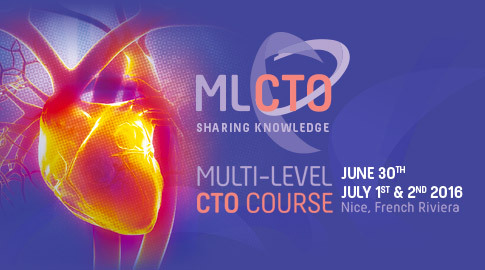 The Multi-Level CTO Course will include didactic and practical lectures with associated live cases, related to the topics covered during the session. The first day will be dedicated to antegrade operators. We will discuss the basic techniques and strategies, leading to more advanced teaching points. The second day will focus on retrograde and antegrade dissection re­entry strategies. Finally, the third day will address very complex cases, complications and tips & tricks. In order to allow as many operators as possible to attend this event, the full conference will be streamed live in english and french versions on incathlab! Discover the complete scientific program and the international Faculty. Parallel Session : "Sharing your own tips & tricks"
Parallel Session : "Worst nightmares, great saves"